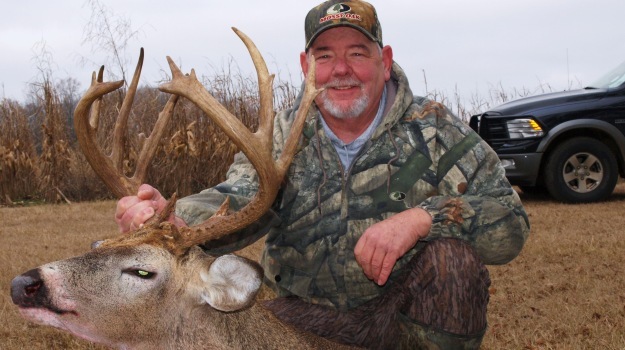 Editor’s Note: Ronnie “Cuz” Strickland, today the vice president of Mossy Oak in charge of television and video production, may have filmed more TV shows and videos about hunting and the outdoors than anyone in the industry. Currently Cuz is responsible for producing these TV shows, including “Hunting the Country,” “Deer Thugs,” “Turkey Thugs,” “Inside the Obsession” and “GameKeepers,” as well as all the videos that Mossy Oak produces. 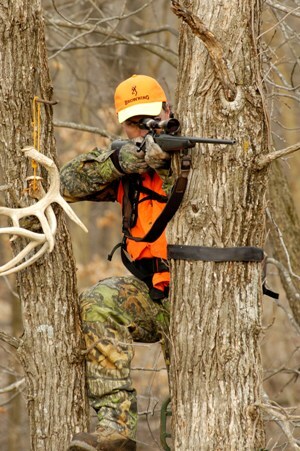 A growing number of sportsmen who hunt together trade off between being the videographer and being the hunter. Good video cameras are less expensive today than they ever have been, besides being smaller, lighter and easier to use. Often today hunters don’t tell the stories of their hunts to friends and family but instead show the videos of their hunts. To provide this new breed of video hunters and shooters with the best information available, we’ve asked Ronnie Strickland to tell us how to avoid the most-common mistakes that most video hunters make, when they’re trying to film a hunt. Most athletes mentally picture themselves being successful. The high jumper mentally sees himself running toward the bar, jumping, his legs coming up, his body going over the bar, the excitement of landing on the mat and the bar staying still, signifying a successful jump. If you don’t do your metal gymnastics and prepare each day ahead of time with focusing on the animal where you think he will be when you take the shot, then, zooming-out, getting a wider field of view and turning your camera to the left or right like you’re following the animal, then you won’t be able to make these instant decisions, when the hunter makes the shot. will I get into position, if the animal comes in on my far right? will I get the shot, if the animal comes in on my far left? can I get the animal in the viewfinder, if it walks right under my stand? will I video the animal, if it’s standing in the brush 70- or 80-yards away? 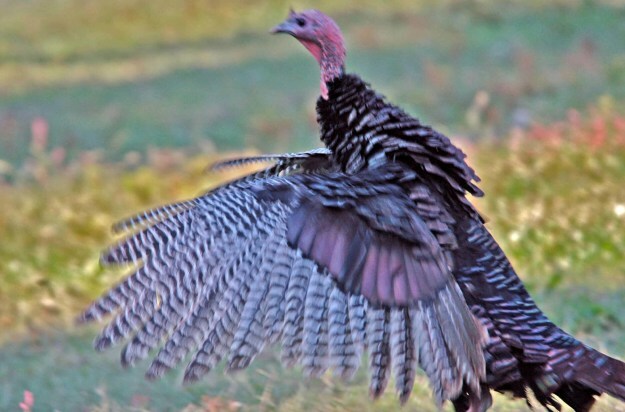 While you’re in the tree stand, you have to go through the mental gymnastics of what you’ll do, how you’ll move the camera, and what you’ll need to video the critter that comes in from any direction around your tree stand. This mentally thinking through the shot may seem like a burden, but remember. For the hunt to be successful, the hunter has to go through these same mental gymnastics. This is one of the reasons I always say that training a hunter to be a field producer is easier than training a videographer to be a hunter with his camera. After a brief, one-year hiatus, the Ram 1500 Mossy Oak Edition is returning to the truck brand's model lineup. Updated for 2014, the Mossy Oak Edition will now be available for the first time with the RamBox cargo management system, in both 6-ft.-4-in. and 5-ft.-7-in. bed lengths. 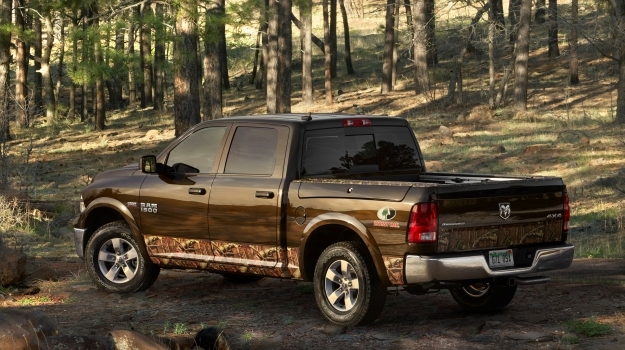 The 2014 Ram 1500 Mossy Oak Edition further extends the multi-tiered relationship between the Ram Truck brand and America's top camouflage brand. But, I promise you. You will get caught with a blurry mess. When you have a trophy animal being taken by an excited hunter, don’t overlook this step. This one little tip can save a lot of fussing and fighting between the field producer and the hunter. I don’t believe I’ve ever seen a cartoon any funnier than these two hunters leaving their guns on the ground where they had been kneeling beside the turkey then picking up rocks and sticks, as they ran and throwing them at the turkey, until they finally caught-up to the bird and put him down.